Guillermo Alban begins the faena in Riobamba. On a recent Saturday, in Riobamba, I watched the last bullfight I will likely see for quite a while. Some of you know that my uncle, Guillermo Alban, is a very popular matador (bullfighter). He fights in Ecuador a few times a year, and I have grabbed every opportunity over the past two years to see him. I have enjoyed watching him fight since I was 11 years old, and have had a chance to participate in many bullfighting-related activities over the years. For that reason I have a bit of an inside view on bullfights, which I would like to share before I leave Ecuador. Most people who know me find it odd that I like bullfights. They think the vegetarian, environmentalist, animal-rights activist in me should conflict with the principles of bullfighting. Perhaps, on some elements of the bullfighting culture, they do conflict, but for the most part I think that most people have a very superficial knowledge about bullfights. I will try to explain a bit about why I do not see a conflict, and what implications this has for politics and culture in Ecuador today. Sometimes, recently, watching bullfights in Ecuador feels like a dying tradition. When I was younger, bullfights were hugely popular, packed with spectators of all ages, anywhere they were held. The president of Ecuador began an aggressive “anti-taurino” campaign in 2010. In 2011, he held a referendum that included a question on the killing of bulls at the end of the fight, as has been done since bullfighting began. The referendum was by canton, and as a result, in some parts of Ecuador (including the capital city), the killing of bulls in a fight is now outlawed. More important, the campaign created a controversy about bullfights, which had not previously been significant to most Ecuadorians. It reflected political interests and provided a diversion from real issues. In response, some areas where the full fight is still legal declared bullfighting as cultural patrimony, so that it can never be outlawed. 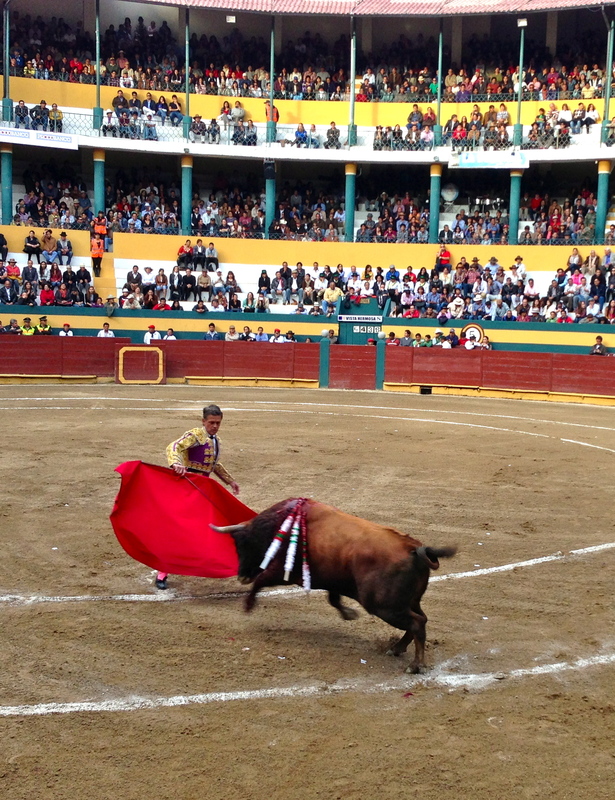 So bullfighting aficionados flock to these places: last Saturday’s fight in Riobamba was packed. Bullfighting is known in much of the Western world as vulgar. There is a profound irony in this criticism. In a world where (in North America alone) more than 450 million cows are slaughtered after an inhumane life in CAFOs (concentrated animal feeding operations), compared with 12,000 bulls killed annually in bullfights worldwide, the appeal to morality rings hollow. In fact, in contrast to North American slaughterhouses, the bullfight is in many ways a tribute to the animal itself: Anything a matador does that “dishonors” the bull, such as failing to kill it cleanly with one strike, is a mark against him. The bullfight displays much more appreciation for the bull itself than most people offer to the steak on their plate before they eat it. 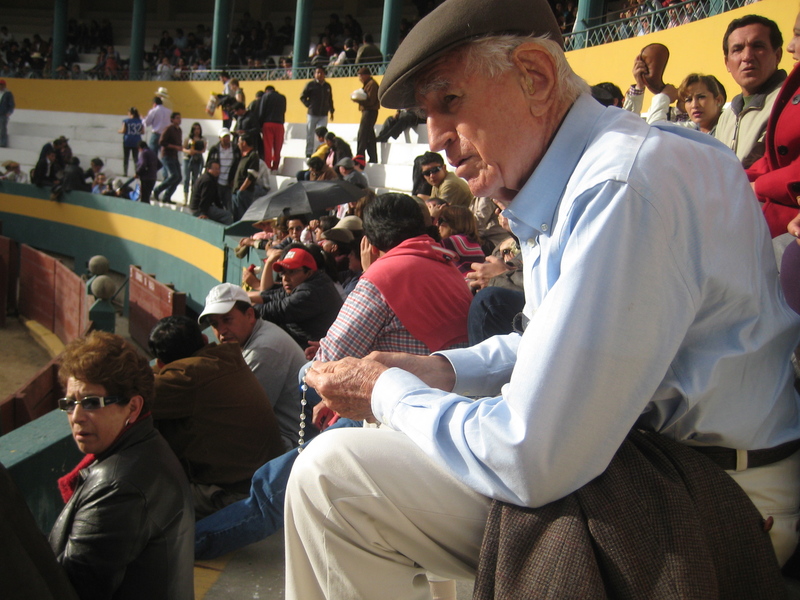 My Grandfather prays the rosary for his son before a bullfight. Fighting bulls, called toros de lidia or toros bravos, are raised on huge, open ranches which often serve as havens for other native wildlife. Ranchers try to replicate freedom in the wild as closely as possible, as it is seen as more pure for a wild animal. The wilder a bull’s life has been — the less contact with humans or closed spaces — the more valuable the bull. Only once it is fully grown, a few days before the fight, is a bull brought into close contact with people. Partly due to their nature and partly to this way of life, fighting bulls are some of the most aggressive animals on earth. Bullfights actually originate in prehistoric tradition related to the worship and sacrifice of bulls. They are still fought today much as they were in the early 1700s. In other words, there is no additional protection for a matador, or restraint on the bull. The kill must be done by sending the sword straight into the bull’s heart in one swipe so that the bull dies almost instantly – as compared to what can be a slow excruciating death in a slaughterhouse,. In a fight, this is seen as an honorable death. I would not say that all the elements of the culture of bullfights are exemplars of human integrity. There is a certain barbarism to cheering for a kill, even if the animal’s life has been much more pleasant than a beef cow’s. Perhaps it will be right for fights to eventually be phased out of our culture, when society actually begins to hold itself to a higher moral standard. But I hardly feel that bullfights are the most important issue for today’s politicians, especially when the motives are more economic than aligned with public opinion. The morality of killing animals (and more importantly people) should be incorporated in public discussion. I actually think bullfights help maintain a more profound consideration of killing than the innocent-looking frozen burger patty. But, as a result of political attack, the practice is fading: Quito’s Feria — several days of bullfights to celebrate the city’s independence, which originated hundreds of years ago — was canceled last year. I feel nostalgia for the cultural history built into bullfights, and a pang of loss when I realize thousands of years of tradition, which I have seen thrive, may die in my lifetime, right here in Ecuador. The opening ceremony for a bullfight in Riobamba, Ecuador. 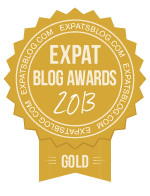 This entry was posted in Culture, Ecuador. Bookmark the permalink.